If you’ve found a good suburb to invest in the next thing you want to be looking for is the right property within that suburb to maximise your returns as well as get cash flow. 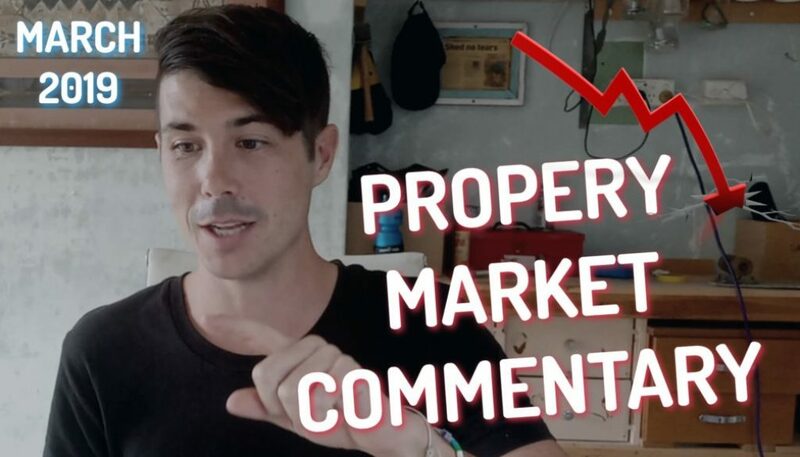 5:48 – What if you can’t afford the best properties in a suburb? Have you found a good suburb and a good area to invest in? The next thing you want to be looking for is the right property within that suburb to get the maximum returns possible, as well as the right property to deliver you cashflow. So in this episode we’re going to look at how you can find that property or how you can generate that cashflow yourself. Hi, I’m Ryan from on-property, helping you achieve financial freedom. And today I’m joined with Ben Everingham from the buyer’s agency pumped on property and so really excited to have you here today. Ben. Thanks for four K. let’s run. We are working through this series and I hope you guys are loving this content. This should be putting you in a really good position as a first time investor to reduce your risk, to maximize your returns and to help you achieve financial freedom. So we’ve already gone through the steps where we’ve set our strategy in place. We’ve located the best suburbs that we want to invest in. Now it’s about finding that right property for us, the crude property in the suburb that’s going to grow more than the other properties as well as the property that can give us that cashflow because often in those good areas, the cash flow doesn’t come for free. Does it vent now like unfortunately, the closer you get to the beach, the closer you get to the city, the cashflow can be a bit harder to find sometimes. Yeah, so in something like a country town, often there’ll be positive cash flow properties everywhere, especially with low interest rates, so you could just basically buy anything and be positive cashflow, assuming you can rent it. As you get into those more premium pockets of cities. The rental use tend to be less so it’s harder to generate a positive cash flow, so as we said, we want both capital growth and cash flow. That’s why we chose the good suburbs because we want that capital growth. Now we’ve got to work hard to get our cashflow. It’s not going to come for free and most investors stop here. They’ll just buy any old property within that suburb to get the capital growth that we negatively geared to the hill and then something will go wrong in their life and they’ll then have to sell that property and they’ll never get the capital growth anyway. So we don’t want you to be in that position. So we want you to find a good property that’s going to grow with the suburb, but it can also generate that cashflow and put you in a good position. I heard something from the Australian Bureau of stats the other day that shocked me, which was you looking at statistics. What was I doing? Fifty percent of Australian investors sell their property within the first five years. That’s crazy. Now, if it takes, you know, 10, 15, 20 years to create financial freedom, it’s just so clear to me now why people don’t follow through. 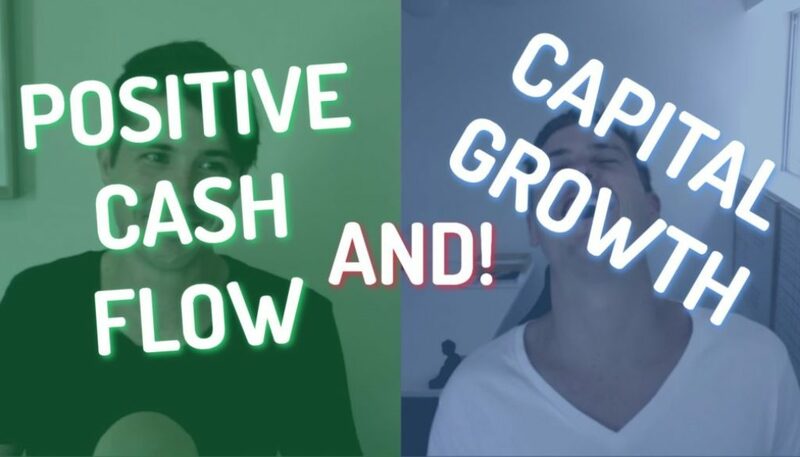 So if you’ve got great cashflow and you’ve got great growth, the likelihood of selling a property is significantly lower than a property that’s performing well from a growth perspective. But it’s still costing you two, three, four, 500 bucks a week out of your cashflow. And that’s the thing so many people get in a position where they can’t afford these investment properties and even though they’re great longterm investments, they have to sell them because short term they just can’t manage the cashflow and they can’t continue to pay it. So if you own a cashflow neutral or cashflow positive position, then not going to have to sell that property because it’s paying for itself. It’s paying itself off. It’s only if you deem that it’s no longer a worthy investment or maybe something dire happens in your life and you have to sell that, you’re going to go ahead and do that. So your chances of financial freedom is going to be higher. Absolutely. And that’s all we want. We just want you to have the biggest chance of succeeding and getting those choices in your life sooner. Okay? So when it comes to finding the best property in a suburb, there’s some things that you want to avoid. And again, the same process that we took in eliminating a bunch of areas. When we looked at our suburb research, we’re going to take the same approach in eliminating a bunch of properties in the market, so if you’re looking at train lines, if you’re looking at main roads, we want to avoid those really sort of busy things where you’ve got that noise pollution because again, it’s the same situation where properties on a main road just probably aren’t going to grow as well as properties that are in a quieter street, so there might be just a small difference in price now, but over the next 15, 20 years as that market grows, which is should it be at the right market? Then there’s going to be a big disparity between those properties. So you want to buy the highest quality properties in the area, not the lowest quality ones. I saw properties in Melbourne on main roads seven years ago that you could buy for $400 and then the property and the beautiful quite straight next to it for 4:50. Now one of them is worth one point two mil and one of them is worth 800 k. So this is what Ryan’s talking about there, it’s, you know, as simple as this, like take a drive around the suburb and identify where you would want to leave if you were raising your family long term. Whereas or the Nice homes, the nice quiet streets, the premium properties with a nicely mowed lawns is probably, if you were to overlay the data, also the premium pocket of the suburb where the highest and most expensive selzer yeah, and also where the most owner occupiers are in the suburb as well. So there’s a bunch of data that you can overlay looking at that suburb to just really cancel out a bunch of properties, which is gonna make your job so much easier as an investor because when there’s those properties coming onto the market, you can instantly see, okay, no, this property is right under the power lines, so just throw that away. You’re not wasting your time on that. You’re not inspecting that property. You’re only inspecting the ones that are high quality that you’re more likely to buy it. Yeah, and I’m very simple way to do this is print out a map of the suburb on Google and then jump onto the sold section of real estate.com. Get three different color pens and cheap stuff in one color, middle stuff and expensive stuff in another color and then over time, very quickly after putting 10 or 15 different dots on there, you’ll start to see clusters of cheap pockets and expensive pockets and you know you’ve got to start with what you can afford, but if you can afford it by the middle and the premium pockets because over time, quality wise there’ll be a difference and this may adjust what suburb you invest in because let’s say you have a certain budget and you have two suburbs that are both likely to grow in one silo but slightly cheaper so you can buy the premium pocket in another suburb. It’s more expensive, so you have to buy a property ride on a train line or right on a main road where you might want to actually eventually ditch that suburb because you can’t buy the right property in there and focus on the suburb. Where you can buy the right property, oh, in much personally prefer to buy a premium pocket and a great any cried area with great longterm quality tenants and owners, Dan, to buy the cheapest property in the best southern and then the next step is to make sure you’re getting that cash flow, so in some circumstances you may be in a pretty good cashflow position anyway, but buying in an area that has a good rental yield. I know a lot of the suburbs you guys are buying for investors have yields of about five percent, which is an excessive but given low interest rates, it can put people in a cashflow neutral position, but then it’s about how can we manufacture cashflow on top of that? Yeah. One of the easiest ways to do this that I’ve found, and it’s not available everywhere in Australia, but definitely in pockets of Sydney, in pockets of Brisbane, you can actually go and buy a house on a nice big block and then you can actually construct that granny flat in the backyard in the future if that’s something you’d like to do. So an example of this is maybe you go out and you buy a 400 k home and that home rents for 400 bucks a week. Then you go out and you build your $120,000 granny flat. We transfer another 300 bucks a week, all in you’ve spent, you know, $520,000 and you’re getting 700 bucks a week in rent and that type of opportunities available within 20 days of Brisbane City right now and that type of opportunity was available in Sydney about 10 years ago. Granny flats can be a great way to take your property that’s going to be negatively geared and to put it in a positive cash flow or cashflow neutral situation. Or You could renovate that property as well to increase the cashflow. Or there might be an opportunity to add a bedroom or to add a bathroom either externally through development. That’s more costly. Sometimes you can get properties where you can actually just move internal walls in order to get an extra bedroom and that can be a great opportunity to manufacture more cashflow because obviously a four bedroom property is going to rent for more than a three bedroom property. Absolutely, and then there’s the old granny flat that we love on the back on top of that, which is the easiest way that I’ve personally been able to figure out how to dramatically increase your return from that four to five percent to that six to seven percent range. Yeah, so you’ve already purchased a good property in a good area. Now you’re just adding the cashflow onto that and you can go ahead and do that immediately. When you purchased the property or let’s say you’re not quite ready to build a granny flat. You can purchase that high quality property and then maybe in a year or in two years when you’ve had time to save up a bit more money to finance the granny flat, you can go ahead and do it then. So you might not be in the best cash flow position from day one. But you know that in the future you’ve got that plan and then once you build that granny flat and getting that positive cash flow position than the property you can actually pay itself off. So manufacturing, cashflow doesn’t have to be that difficult. It’s just a few simple strategies that can get you there. But when you’re looking at purchasing the properties, you just need to have these in the back of your mind that you can do them in the future to create that cash flow. Because often the cashflow isn’t going to be there itself. You’re going to have to do something to get it there. So when you’re looking at these properties in the suburbs, you want to cancel out the ones on main roads and train stations and things like that, and then look within those high quality properties. Then you’re looking for opportunities of how can I add cashflow? Yeah. And I think it just like we talked about before, gives you that security, that safety net against interest rates, against market changes, against events that happened in your life that you can’t see coming right now. So I think the longer you can hold a property, the better off you’ll be if it’s the right one and cashflow just helps with that longterm hold concept. Yeah. So I hope that you guys have really enjoyed this series on reducing your risk, maximizing your returns, and achieving financial freedom. 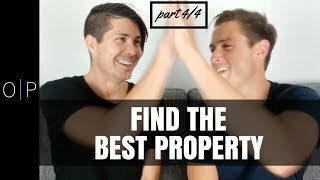 The goal after you buy these properties as then to have them paid off over time, either through the cashflow of the property or you can pay them off faster yourself through things like side businesses, investing in properties where you’re going to get equity that you could sell, and then pay them off. It’s up to you how you go ahead and do it, but I hope now through this series you can see that it’s not that difficult to go out there and invest in property and actually achieve that longterm financial freedom. And I hope you feel inspired to go ahead and do that. If you’re interested, Ben and the team over at pumped on property are offering free strategy sessions to you guys. 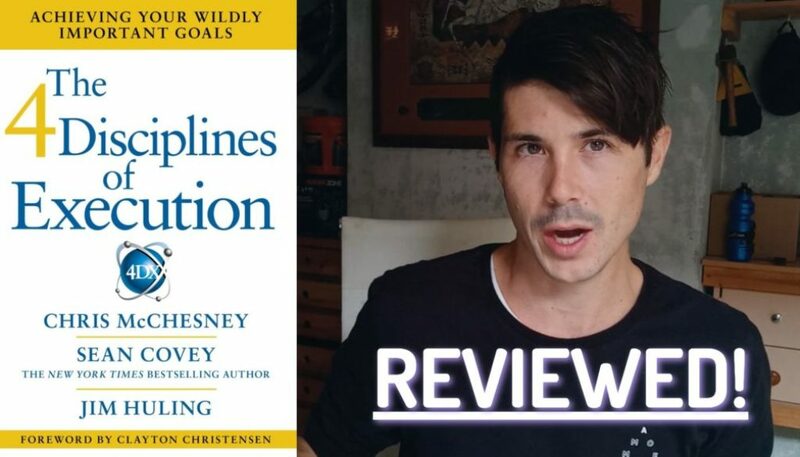 So if you want to jump on the phone with them, talk about your situation, where you’re at now and get really clear as to what your goals are and what your next steps need to be in order to order to achieve those goals. Then a strategy session is going to be awesome for you. It’s just going to really get the ball moving because often people just get so stuck because they don’t have that personalized advice. So strategy session’s gonna really help with that. So go to on-property dot com, forward slash session to book a time with them and I’ll leave the links to that in the description down below as well. If you then decide that you want to work with a buyers agency at pumped on property, you can go ahead and do that. They can find the high quality suburbs and the high quality properties and help you purchase them, or you can take their advice and then that’ll just leap frog you and you can go and do it yourself. So it’s a really great offer. Again, that’s on property.com, forward slash session and the link will be down below and just thanks so much for doing this series with me. I think it’s been really good. I think it’s going to be really helpful to people out there. No problems. Thank you so much for having me here and I just wanted you to know like if you are just getting started now, I’m so excited for you. It’s such a cool stage of life and it’s such an insight, an exciting thing to be doing and I wish you all the best with whichever way you go and I hope some of the things in this video set you up for your future success and freedom that so go out there, make things happen and go and achieve your dreams and financial freedom. Be the best version of yourself you can be. Live your truth, be yourself, add value to the world. We’re really excited for your journey and we’re really excited to hear from you and hopefully do a strategy session with you guys. So that’s it from us. Hope you like this series and until next time, stay positive.